Powerful New Vegan Documentary Details the End of Meat. 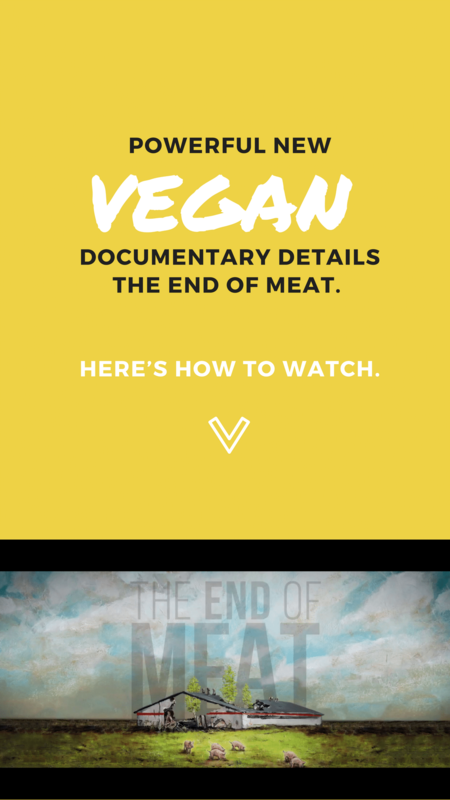 Here’s How to Watch.Powerful New Vegan Documentary Details the End of Meat. Here’s How to Watch. Powerful New Vegan Documentary Details the End of Meat. Here’s How to Watch. An incredible new full-length documentary is premiering in NYC and LA this week. The End of Meat, produced in Germany by filmmaker Marc Pierschel, highlights the hidden impact of our meat-heavy diets and the growing movement to bring about a world where we don’t exploit and kill animals for food. In The End of Meat, filmmaker Marc Pierschel embarks on a journey to discover what effect a post-meat world would have on the environment, the animals and ourselves. He meets Esther the Wonder Pig, who became an internet phenomenon; talks to pioneers leading the vegan movement in Germany; visits the first fully vegetarian city in India; witnesses rescued farm animals enjoying their newly found freedom; observes the future food innovators making meat and dairy without the animals, even harvesting “bacon” from the ocean and much more. By reimagining our relationship with other animals, this powerful film will undoubtedly change hearts and minds. The New York City premiere will take place this Tuesday, August 28, and the Los Angeles premiere will take place Thursday, August 30. The film will then move north, premiering at the Toronto Veg Food Fest in September. Bummed there’s no film screening in your area? Don’t worry—the film will debut on iTunes in North America on September 4. Click here to preorder your copy today. Without a doubt, having watched a documentary about animal rights or veganism is one of the top reasons people move toward a vegan diet. So why not invite the veg-curious folks in your life to check out this powerful new film? And while you’re at it, here are five more films that will inspire viewers to leave animals off the menu. Click here for more information about adopting a healthy and compassionate vegan diet, including delicious plant-based recipes, meal ideas, and tips on making the switch.